It’s Friday and I’m enjoying a peaceful night right now as my girls are both snoozing away. Today I’m sharing a book that a long time reader wrote. It’s a bit different than the normal books I share, but I felt it was worth it and would be of interest. 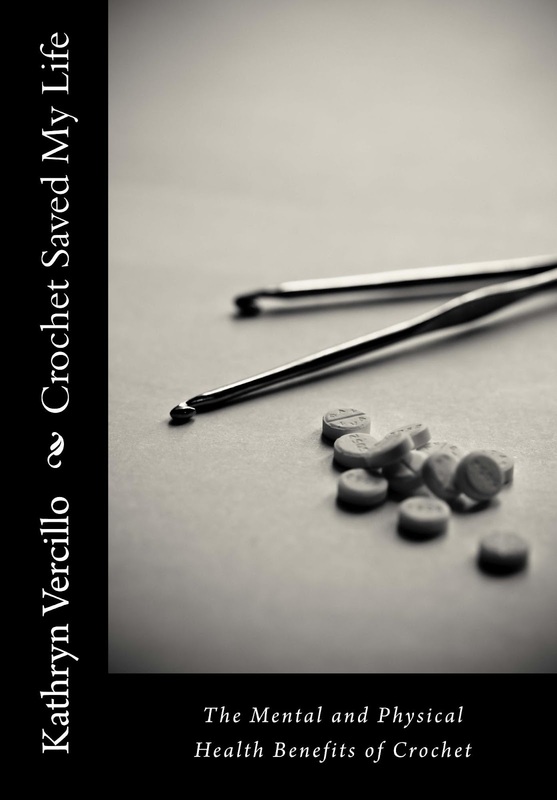 “Kathryn Vercillo wrote Crochet Saved My Life based on her own experience of using crochet in conjunction with therapy and medication to survive lifelong, life-threatening depression. When she first began to tell people that she was writing about how crochet had saved her life, she expected to be laughed at. Instead, she was inundated with story upon story from people who felt that the craft had saved their lives as well. The author went on to interview nearly two-dozen women about their experiences. The group is made up of women who are professionals in the industry, working as crochet designers, craft book editors, and crochet bloggers as well as women from other walks of life. This new book shares their stories along with her own to highlight the many facets of crochet that make it a great therapeutic tool for people of all ages. The book is available here and you can check out her blog here, which is full of all kinds of crocheting goodness. Thank you Kathryn for sharing your story and many others with the world. Thanks for sharing the word about my new book. I hope it’s something that your readers enjoy!